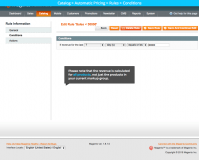 Get a flexible tool for setting prices in your Magento store based on cost and the level of sales. 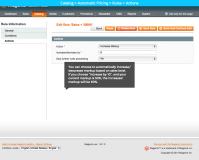 Set a price markup (fixed figure or percentage) to be automatically added to your cost. 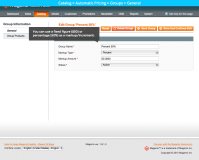 Calculate your product prices based on the “Cost + Price Markup” formula. 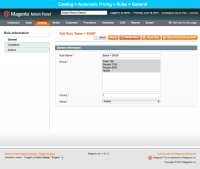 Cost Based Pricing extension for Magento allows you to specify the cost and price markup for each product. The extension makes it easy to manage prices: you can define the rules that would automatically trigger the markup change according to the sales level, and once the markup is changed, all prices are also automatically updated. Figuring out an effective pricing policy is a major challenge for online retailers and there are a plethora of aspects to take into account. However, the process of calculating prices can be later on simplified with a handy extension in place. 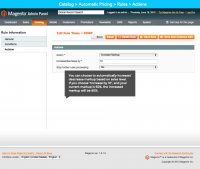 Using it, admins can set cost and price markup for each product. The system, in turn, will change it automatically based on pre-configured rules, reducing the efforts required to maintain prices at the store. Providing for a whole range of convenient pricing settings, the module allows online retailers to significantly simplify the process of price calculation and management. This allows to keep up with the existing business strategy and introduce required corrections, if any, on the fly. With the ever-changing customer requirements, market conditions fluctuate continuously. Keeping the finger on the pulse is critical to protect your business from potential risks and losses. By configuring specific pricing rules based on your market insights, you ensure the prices stay up-to-date with the current market state. . Specify product cost and price markup (either fixed or percentage). 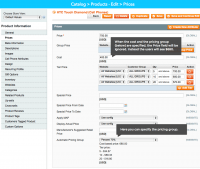 Let product prices be calculated based on the “Cost + Markup” formula and show these prices in catalog. Calculate product prices automatically or enter them by hand. 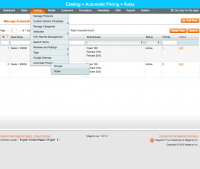 Define rules for automatic price markup adjustment depending on the sales level. Let prices be recalculated automatically after the markup changes. The extension comes with a User Manual. The functionality code is 100% Open Source. 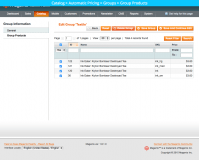 Multi-Location Inventory extension for Magento - Set up multiple warehouses, allocate products in stock accordingly and assign them to different store views or customers. 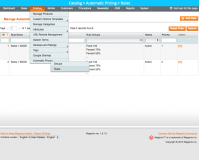 Warehouse Management plugin - Add as many warehouses as needed, manage their settings. Advanced Permissions for Magento - Improve access management at your store by restricting access to specific site areas. 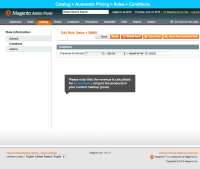 Magento Age Verification Page - Get full control over the content visitors see on your website. Preorder & Backorder plugin for Magento – Allow your customers to place orders for soon-to-arrive items and get paid for them in advance. + Added possibility to round up a product price to the nearest integer. + The extension is compatible with Magento 1.9.3 / SUPEE-8788. * Fixed an issue with new product isn't displayed on front-end without reindex. 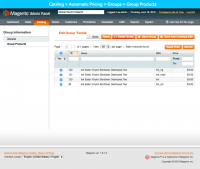 + Compatible with Magento CE 1.9.2.1. 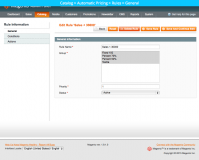 * Issue with products assigned from non default storeview aren't visible is fixed. + Compatible with Magento 1.8.1.0. + Compatible with Magento 1.8.0.0. * Fixed the not applying of the catalog price rules. 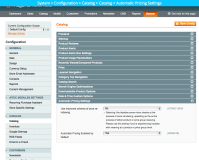 * Adjustments for proper working with the built-in AITOC modules manager. * Fixed bug with Magento price being displayed incorrectly. + Compatible with Magento 1.7.0.2. + Compatible with Magento CE ver. 1.6.2.0. 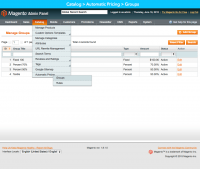 + Compatible with Magento CE 1.6.1. 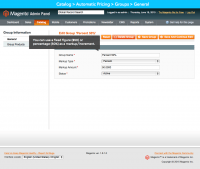 + Now provides an option of speeding up the process of saving price groups and products by disabling minor Magento checks. 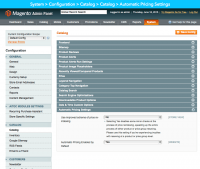 The option can be found at System > Configuration > Catalog > Automatic Pricing Settings. Please use cautiously. + Compatible with Magento CE 1.6.0.0. * The issue with Magento products of the Configurable type is fixed. + Compatible with Magento CE 1.5.1.0. * Fixed the compatibility issue with AITOC's Magento Booster. * The issue with re-indexing a markup rule is fixed. + Compatible with Magento CE 1.5.0.1. 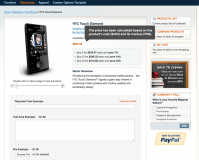 + Compatible with AITOC's Pre-Orders Magento extension. * Price indexing issues fixed. I was looking for some kind of extension like this for a while. After few days of searching finally found it and bought it ! Extension is very simple to install and to use.. Didn't even have to look at manual to to make it work. With that plugin You can save a lot of time - its making You smile because it's simple as that. I recommend it big time ! Enjoy ! No other like it - this module is in a league of its own & so are Aitoc! This module is the only working Cost based pricing solution out-of-the-box on the market! We have spent months looking for a solution that works with Pricing filters for "Shop by/Sort by" this does! Aitoc has #1 support no matter what the issue they will debug/test/suggest & solve your cost based nightmares! A comment made by the VP from Aitoc to me in initial conversations was "there are many ways to do the same thing in Magento" - sure is and this is an optimum solution! Highly recommend to anyone who works with cost + markup for suppliers/manufacturers and requires their filters to work naturally. Rules are also enabled as an additional option. A big thank you to Aitoc for creating and implementing this solution - keep up the great work! Do you know that this is EXACTLY the module I was looking for? Easy install, works out of the box. And man, is it going to radically reduce my price calculation time. Doing the math on all this wholesale to retail prices based off profit margins was such a hassle. It's been a LONG time since I've paid this much for a piece of software for an opensource shopping cart. But this was so worth it in time savings. I can be doing sales rather than data entry on my website www.TheGrainMillWF.com. Thank you!